As digital innovation continues to drive change in business processes and approach to market, the CIO is under increasing pressure to steer the company through the mire to success. Chief Executives are now placing investments in technologies to stimulate growth at the top of their to-do list, and are actually looking to increase spending in IT according to the research by Gartner. The research was into the attitudes among CEOs and senior executives towards information technology. The good news for CIOs is that their bosses and business peers see IT professionals as pivotal for their transformation plans. 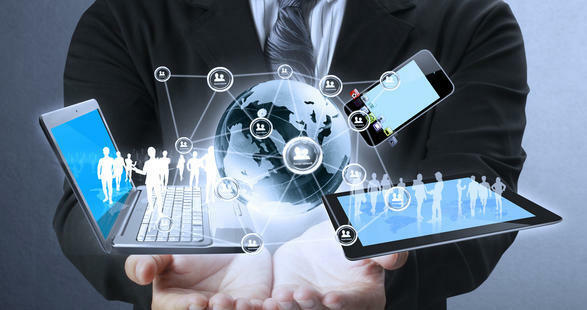 The survey polled over 400 business heads in organisations with revenues of over $250million and revealed that over half (51%) intend to increase their spending in IT and that 48% will be investing in digital capabilities. This outlook heralds a departure from the attitude of the past decade, says Mark Raskino, Gartner fellow in executive leadership and innovation research. Previously the thinking was to reduce IT spending, even prior to the 2008 economic crisis. “If you look at that period from 2003 – 2008, the five year economic boom period before we have a crash, at that point the talk was about offshoring, outsourcing and ERP standardisation projects. In that boom period IT in the business was generally being kept under control, put a lid on, even cut. “There was a sense that IT was a hygiene factor. That you needed to have it but it wasn’t differentiating. People had bought into the idea that IT was something of a commodity, that’s why we did all that offshoring and outsourcing. The next step for CEOs and CIOs is working out which technology to invest in to fuel their business. When asked to select up to five technology-related areas in which they are likely to invest over the next five years, one answer to the fore: digital marketing. 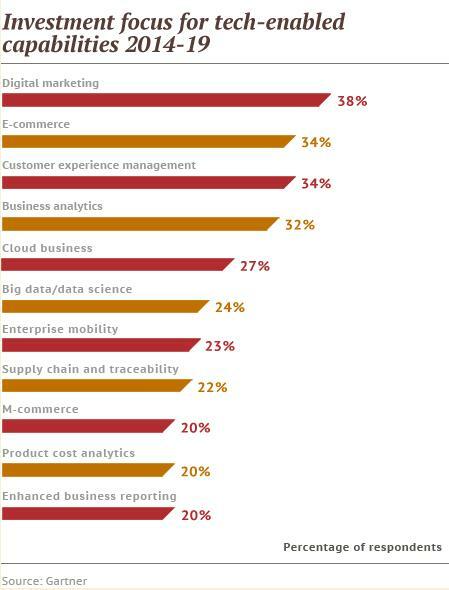 Ecommerce and customer experience management tied for second place, follow by business analytics. It is this knowledge gap that the CIO is now being made to fill. They will need to educate the board, executives, senior and middle management layers to both the huge range of digital opportunities as well as the limitations. Another interesting dynamic from the research shows belief that digital is a team game, but with the CIO having the most visibility. Around 25% of respondents said they now have a chief digital officer, yet if they had to allocate responsibility for leading digital innovation the CIO was still cited as in charge – ahead of the chief marketing officer and chief technology officer. This will likely keep the hierarchy flatter than normal when it comes to digital innovation, with all members of the team likely to have an input. This can be a double-edged sword and will no likely cause some complications moving forward. With such a sudden shift in emphasis for the CIO it is no doubt likely to lead to disappointments, and ultimately increased churn in the role.